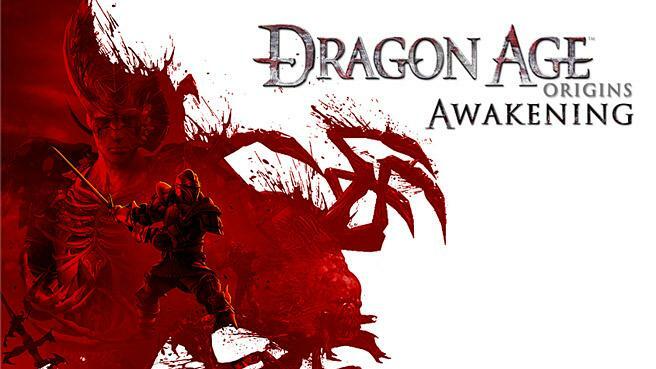 EA published the official release date for the Dragon Age expansion, and the March release date was true. March 16, 2010, to be exact. As for the Return to Ostagar DLC that was supposed to come out today for the 360 and PC, it was delayed for all platforms. Sony was supposed to get it in late January. I want to think that this is Sony wanting to make everyone wait, not just them, but since it’s “delayed for all platforms,” I’m not sure what to think. More updates as they come out. Leading video game developer BioWare, a division of EA, announced today Dragon Age: Origins – Awakening, the first official expansion pack to Dragon Age: Origins, the recent recipient of Spike TV’s Best RPG and PC Game of 2009, IGN’s Best RPG of 2009 and CNN.com’s Best RPG of 2009. Dragon Age: Origins – Awakening will be available for the Xbox 360 videogame and entertainment system, the PlayStation 3 computer entertainment system and PC on March 16, 2010. Designed and written by the same team that brought you Dragon Age: Origins, the Awakening expansion pack offers a brand new area of the world to explore known as Amaranthine, featuring an epic story that will allow players to unravel the secrets of the darkspawn – and their true motivations! Players will face a range of horrific and terrifying creatures including an evolved, intelligent breed of darkspawn and other menacing creatures such as the Inferno Golem and Spectral Dragon. Dragon Age: Origins – Awakening provides exciting new ways for players to customize their heroes and party, including the ability to re-spec their character attributes, allowing even greater customization and replayability. Featuring an increased level cap, new spells, abilities, specializations and items, plus five all-new party members, players can continue their adventures from Dragon Age, or begin with a brand new party. Dragon Age: Origins – Awakening, BioWare’s next thread in the Dragon Age: Origins tapestry, occurs following the events of Dragon Age: Origins and puts players into the role of a Grey Warden Commander entrusted with rebuilding the order of Grey Wardens. In addition to rebuilding the ranks of the Grey Wardens, you will be tasked with uncovering the mystery of how the darkspawn survive after the slaying of the Archdemon dragon. How players choose to rebuild their order, resolve the conflict with the mysterious “Architect,” and determine the fate of the darkspawn are just some of the many intriguing moral choices that will shape each player’s heroic journey. Players will be able to import their character fromDragon Age: Origins or start out as a new Grey Warden from the neighboring land of Orlais. Dragon Age: Origins – Awakening will be released March 16, 2010 worldwide on the Xbox 360, the PlayStation 3 console and PC. Dragon Age: Origins – Awakening will be available for $39.99 on PC, Xbox 360 and PlayStation 3 consoles in North America and will require Dragon Age: Origins to play. Dragon Age: Origins – Awakening is rated M by the ESRB and 18+ by PEGI. For more information on Dragon Age: Origins – Awakening, please visit the Official Site. Tagged DLC, dragon age, Expansion, PC, PS3, XBOX 360.